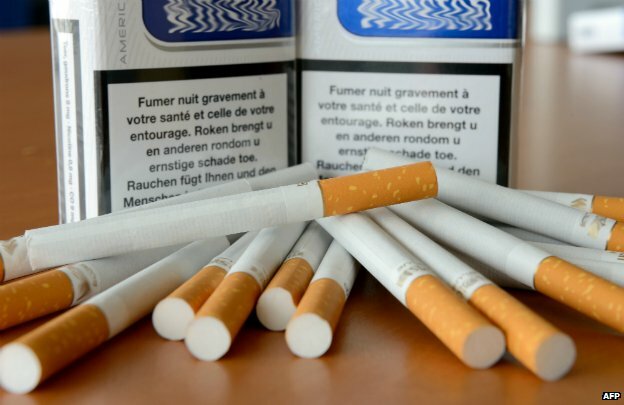 The French government has unveiled controversial new measures to cut the number of its smokers, including introducing plain cigarette packaging. The proposals are specifically aimed at reducing the high rates of teenage smokers in France. Health Minister Marisol Touraine plans to follow Australia’s example, which introduced similar measures in 2012. Experts say removing branding on packets and adding large health warnings reduced smoking in Australia. However, some tobacco companies dispute the evidence for this and say France’s plans are incomprehensible. The new measures, which will come into effect once the law goes through the National Assembly, also includes a ban on smoking in children’s play areas in public parks and in cars carrying children under 12. In addition, advertising of e-cigarettes will be restricted before being banned in May 2016, except at the point of sale and in trade publications. “We can’t accept that tobacco kills 73,000 people every year in our country – the equivalent of a plane crash every day with 200 people on board,” she added. The BBC’s Hugh Schofield in Paris says the move goes well beyond what France is required to do under European anti-smoking rules. EU laws already force tobacco firms to cover 65% of the packaging with health warnings, but Ms Touraine said they would be “the same shape, same size, same colour, same typeset” if the ban came into effect. Celine Audibert, a spokeswoman for French firm Seita, which is a subsidiary of Imperial Tobacco, described the move as “completely incomprehensible”. “It’s based on the Australian experience which, more than a failure, was a complete fiasco,” added Ms Audibert. In 2012, Australia forced all cigarettes to be sold in identical brown packets, largely covered with graphic health warnings. Tobacco clearances, an indicator of tobacco volumes in the Australian market, fell 3.4% in 2013 compared with 2012. But Australia also raised cigarette taxes that led to consumer prices increasing, creating doubt over which move made the most difference.